For the past 64 years, local Vancouverites look forward to the fleet of Christmas Ships that cruise by on the Columbia River in December. The longtime tradition started in 1954 with a single sailboat adorned with a wreath and now attracts eager visitors to Vancouver USA’s waterfront restaurants and shoreline trails. 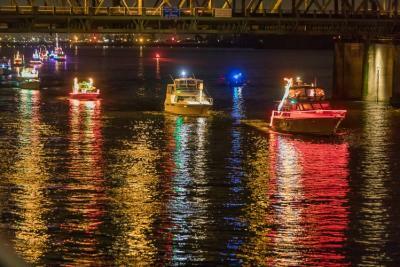 The two fleets (Columbia and Willamette) have grown to nearly 60 boats combined with extravagant light displays seen from both banks. One of the boats (Trader Vic) is celebrating 30 years as a participant this year. The organizers even have T-shirts for sale on their Facebook page! 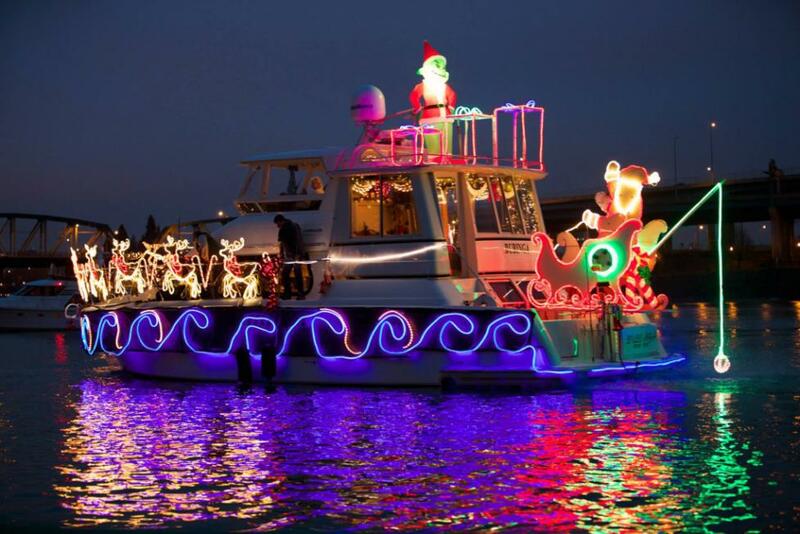 Catch the Columbia fleet from the Vancouver waterfront on December 5, 6, 12, 13, 18, and 20 this year. (The only reason changes would occur is for poor weather and river conditions.) Boats arrive around 7:30 or 8 p.m. depending on the route. If you just can&apos;t wait, both fleets will be at the Port of Camas/Washougal on December 1 at 6 p.m. and you may be able to catch a glimpse while they are headed back to Portland that evening. Don’t let the crowds deter you from experiencing the holiday magic that can now be watched from the new Vancouver Waterfront. Bundle up for a stroll along the Waterfront Renaissance Trail or snag a spot on the Grant Street Pier for premier viewing. See the boats in a new way, onboard the Couve Cycle! Seats are $25 a piece for up to 14 riders per outing. McMenamins on the Columbia will also have its patio open to customers. Dress warm; they admit their heaters don’t always ward off the wind chill! If you prefer to watch from the warmth of a restaurant, here is a guide to assure a seat for you and the family. But book early! Twigs Bistro is selling tickets to reserve specific tables. Premium tables with the best viewing are $100 for four and $150 for six people. General seating is $75 for four and $50 for two. All ticketed reservations include signature cocktails and appetizers for the table. Tables without a view can also be reserved for no extra charge. Next door, WildFin American Grill is taking reservations as usual. Since seats at Beaches Restaurant and Warehouse ’23 are open to past guests first and are often reserved by charities, both establishments have been sold out since November 2 and will not have room for walk-ins. The Port of Vancouver USA will host a special viewing party in the event space adjacent to Warehouse 23 on December 20, complete with holiday music and food and drink vendors. Best of all, the event is open to the public with no reservations needed. Stop by Joe’s Crab Shack or call ahead—they still have room. If you plan to dine inside at McMenamins of the Columbia, go early! It is first come, first served and they expect the inside tables to start filling up by 6:30 p.m. Who Song and Larry’s is nearly sold out, with a few tables left. Walk-ins are welcome at a high-volume capacity. 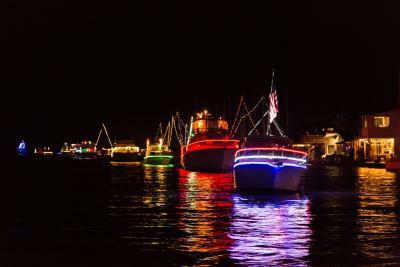 For more information about the Christmas Ships, visit their website.